Diesel is an Italian retail clothing company known for its denim jeans. It has two different brands, Diesel and Diesel Black Gold, that combined, have a wide catalogue of denim and accessories. The high quality material of its apparel has made it a brand name around the world. With Big Apple Buddy’s personal shopping service, you can now buy direct from the Diesel online store anytime, anywhere. Get a unique twist on the classic jeans with the Diesel Buster 0853D Tapered Jeans. 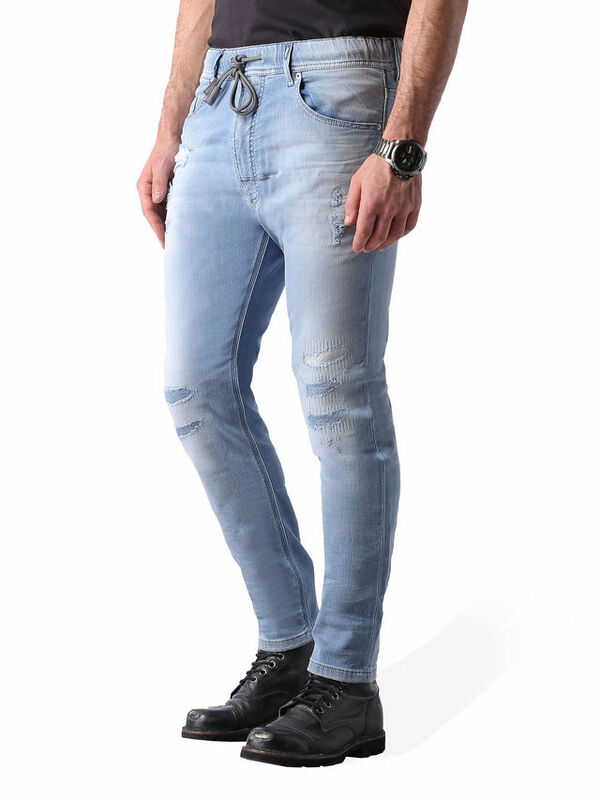 These unique jeans have eye-caching patterns sewn through out that will make you stand out in the best way possible. This versatile choice works in a casual or business occasion and will combine with any type of top color or pattern. The leg slims down at the bottom, keeping these jeans modern and in style. No outfit is complete without a jean jacket! 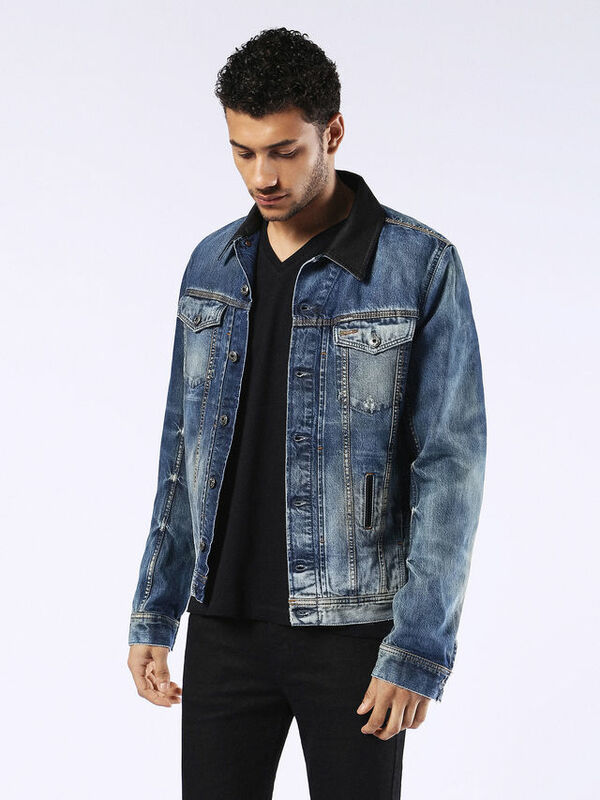 The Diesel Elshar Jacket is one of the most popular of the collection. With a timeless feel but a modern look, this jacket is perfect for the upcoming season. It was hand-stiched to guarantee the high quality of the Diesel Brand and to shredded and faded look just right. Rock it out with a pair of dark jeans to make the perfect contrast to your outfit. 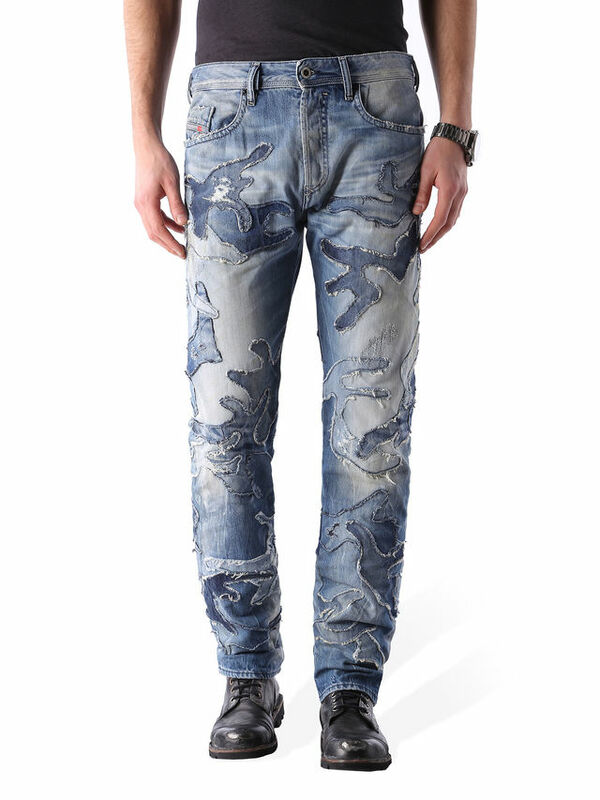 Get the best of both worlds with the Diesel Narrot JoggJeans 0673M! They may look like regular jeans, but this innovative style has a feel and fit unlike no other. They allow for more flexibility which is perfect for the more active people or even those who like to be comfortable in jeans. Inspired by jeggings, they are able to make denim and jersey combine perfectly in these must-have jeans. Unfortunately, the USA Diesel online store does not currently offer international shipping. However, Big Apple Buddy, your personal shopper, can help you buy products direct from the official USA Diesel online store and ship them to your doorstep, no matter where you are in the world. We offer international shipping to over 110 countries including Australia, Austria, Azerbaijan, Bahrain, Belgium, British Virgin Islands, Brunei, Bulgaria, Canada, Chile, Costa Rica, Croatia, Czech Republic, Denmark, Estonia, Fiji, Finland, France, French Polynesia, Germany, Gibraltar, Greece, Greenland, Hong Kong, Hungary, Iceland, Indonesia, Ireland, Israel, Italy, Japan, Jordan, Kuwait, Latvia, Liechtenstein, Lithuania, Luxembourg, Macau, Malaysia, Maldives, Malta, Marshall Islands, Mauritius, Monaco, the Netherlands, Netherland Antilles, New Zealand, Norway, Oman, Poland, Qatar, Romania, San Marino, Saudi Arabia, Serbia and Montenegro, Seychelles, Singapore, Slovak Republic, Slovenia, Spain, South Africa, St. Lucia, Sweden, Switzerland, Taiwan, Thailand, the UAE, the UK, Vatican City, and Vietnam. If you would like to buy from the USA Diesel online store, simply let us know which items you would like to order (by filling out the form below) and we’ll get back to you with a free international shipping quote within 24 hours!